On yet another gloomy morning in what seems to be an endless parade of gray and rainy days, the only infinite this morning I am seeing is infinite dreariness. 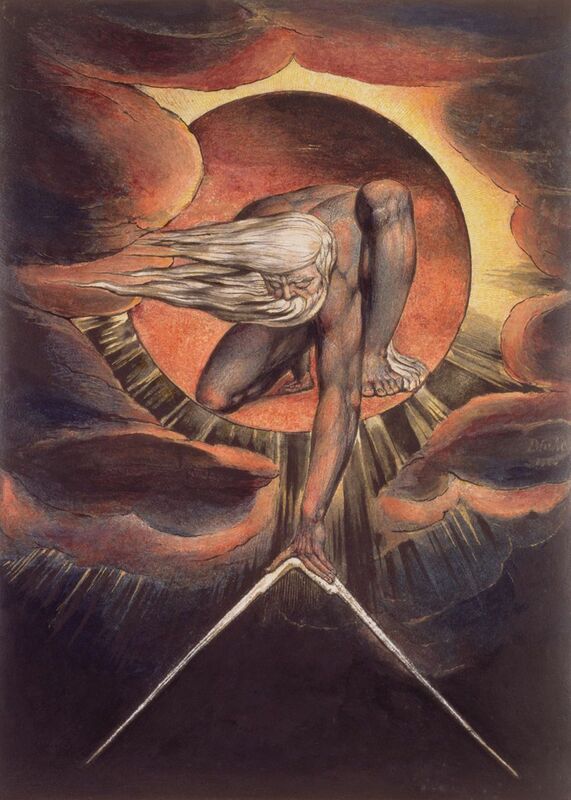 On a morning like this, a few pieces from William Blake seem like the right choice to ponder. 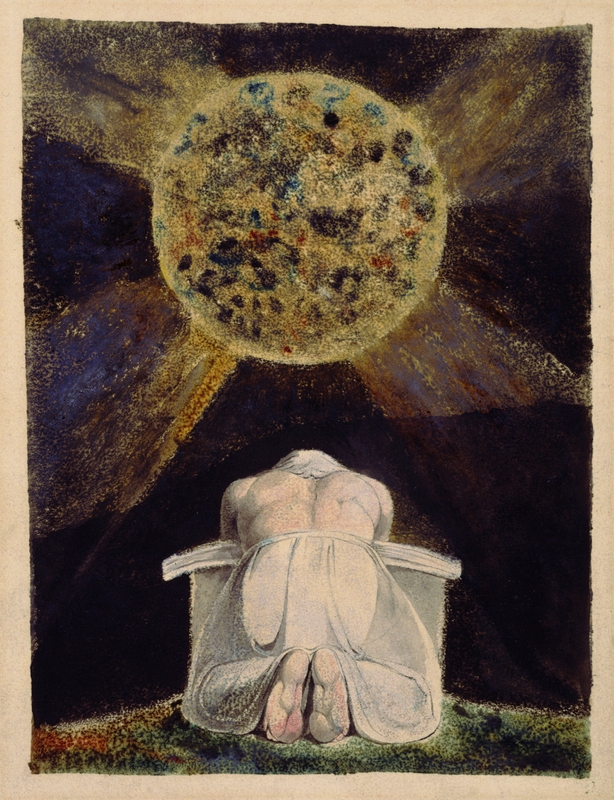 The work of British poet/printmaker/painter William Blake (1757-1827) seems drastically different from the work of his contemporaries in the early 19th century. It went beyond representation and dealt with a metaphysical reality/unreality with which most artists of the time were not dealing. 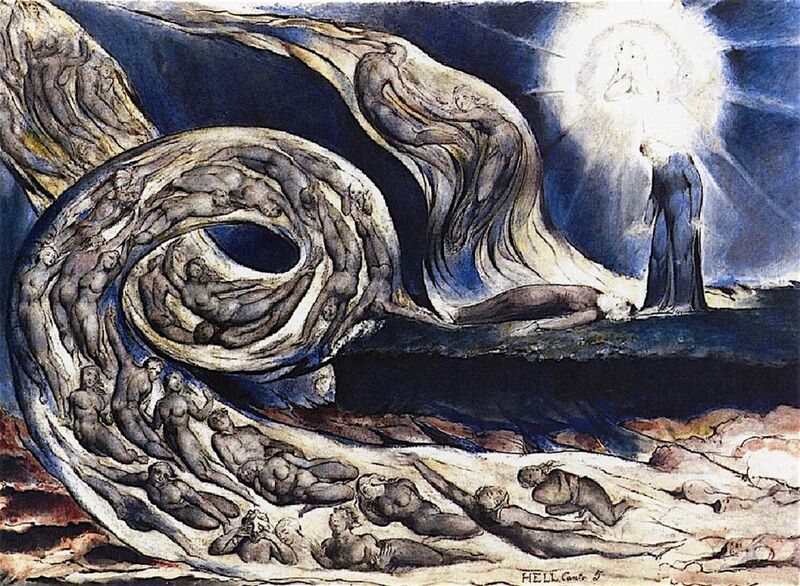 Much of his work deals with a complex mythology revolving around Urizen, a godlike figure representing reason and law. 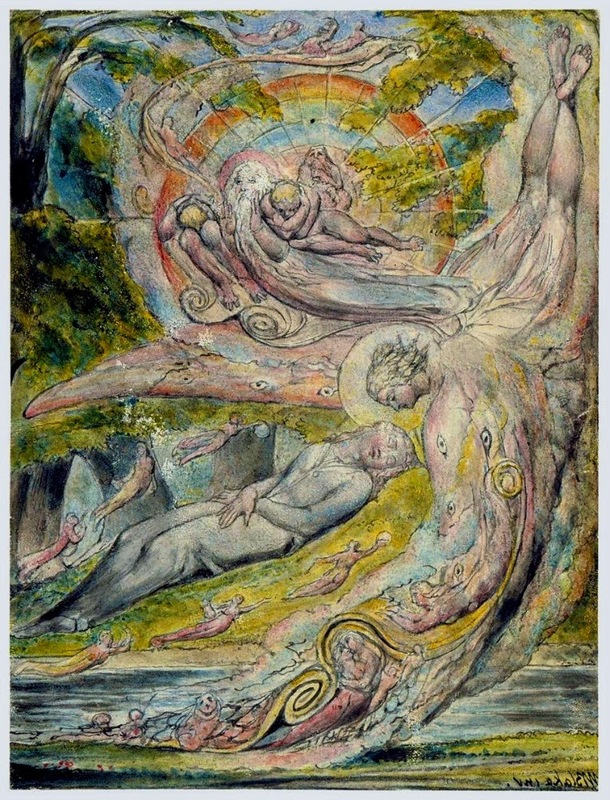 He is shown in the famous image shown at the top of this post and in the first below. To be honest, I can only pretend to understand his work at the most basic level. But his visual work and his writings have a definite attraction for me. It remains vital and interesting work, forever tinged with the mystery of the ages. And that mystery is something to ponder, especially on a dreary, rainy morning. Maybe this rain is attempting to cleanse those doors of perception?